I’ve heard it said time and time again that during our city’s annual Light Up Night, the downtown area looks like the set of a Hallmark Christmas movie. I couldn’t help but think that when a couple weeks ago a crew came to town to shoot “Megan’s Christmas Miracle,” a Hallmark-type movie which will air on TV this coming holiday season. Some of the shoot took place at Studio 9 Dance Academy, the former Annabel Timms School of Ballet. 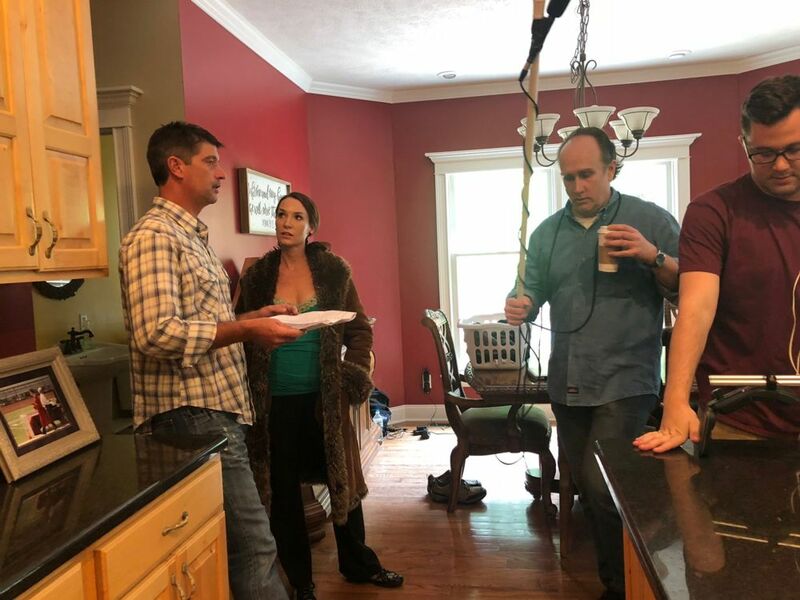 I had been chatting with owner and family friend Heather Mudrick the night before when she mentioned that JC Films co-owner/producer Jason Campbell had contacted her with interest in shooting a portion of his latest film at her studio. He also needed to shoot some film at a home – decorated for Christmas – and she said she would be happy to offer hers. Heather said she had been working to set up the Christmas tree – bulbs, lights and the whole nine yards – and various other sparkly embellishments, giving the house a cozy, Christmastime feel. 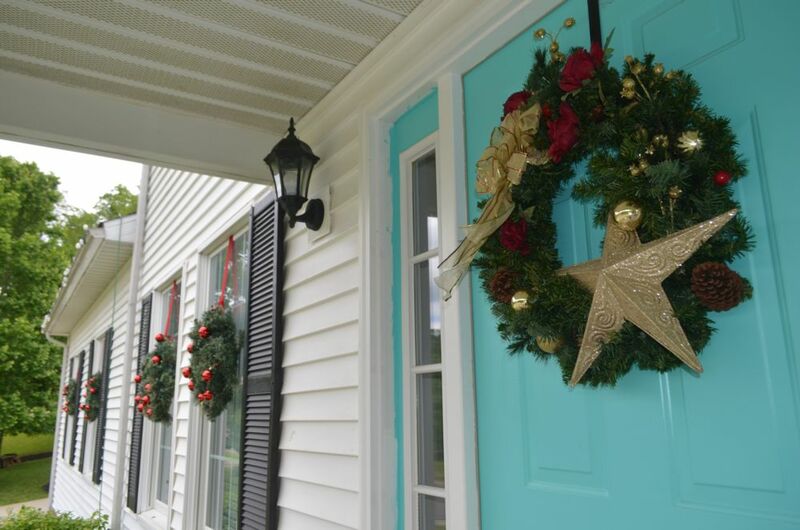 With a wreath placed in every window, the exterior of the home was likewise dressed in holiday style. Heather said decorating for Christmas in June was fun and she was tickled to keep her neighbors guessing as to why she was doing it. But she also said it was a little difficult to do. Shortly after trimming the house for Christmas 2017, she lost her husband Mark. Just 43 years old, he died after taking a fall at work. Heather was a most gracious hostess and so accommodating of the needs for the film. I was with her at the house as the actors, producer, make-up artist, camera man and extras arrived at the door. 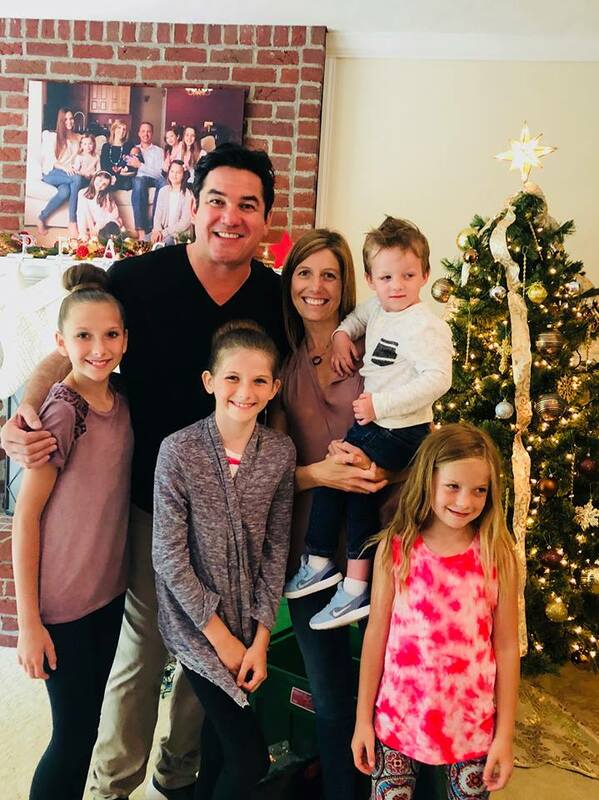 Her beautiful daughters, all who appeared in the scenes shot at the studio, were excited to pose for a picture with actor Dean Cain. Ok. I’ll admit it. I was too. He had arrived with Starbucks in hand for the coffee drinkers and was all smiles. He was eager to meet everyone and as easy to talk with as an old friend. Heather’s little two-year-old son Maddox thought it was cool that Superman was at his house. Dean was great with Maddox, too. It was heart-warming to see them sharing smiles and high fives. Among the entourage of people who came to the door were brothers Justin and Jared Massie, both Bridgeport High School grads. 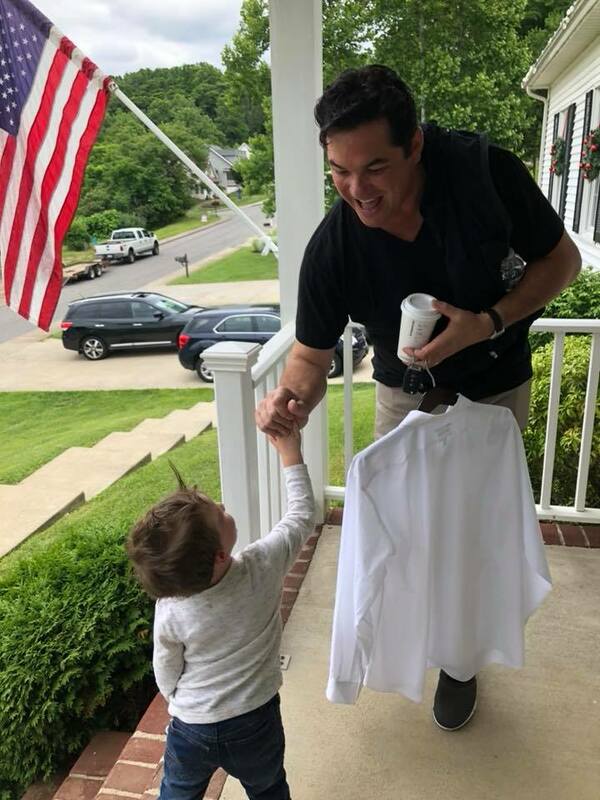 They were actually playing the roles of Dean Cain's sons - who, in the movie, are away at college. They posed for a family portrait outside.Justin and Jared also recently lost their dad, Kenny Massie. Again, I watched the smiles and was happy the boys had that cool experience. Michael is part of the JC Films circle. The film production company, which is co-owned by Erik Estrada – yes, the “CHIPS” star – utilizes a lot of the same actors in its films, which are all faith-based. The more I learned about this company, the more I loved what they do. They don’t just make films to entertain, but also to change lives. They write, cast and produce narrative films to assist Christ-centered churches and non-profit organizations in getting their word out. Jason says there’s a hunger for this kind of hope and truth. I so agree! Another new friend I made on the set was Katherine “Kat” Shaw. From the first moment she arrived, she carried an air of professionalism, but she was also so welcoming and had such a fun bubbly personality – despite the fact that she was wearing a winter coat during an 80-degree day. At Dean's suggestion, they went over some lines while the set was being prepared. Sitting at the kitchen bar, they rehearsed, while Kat looked in her bag for a makeup product she needed. She thought she may have left it in her car, so Michael said he would go look. We were all tickled when he returned with a bottle of nail polish. "You're such a guy," Kat said. I was amazed at Dean. With literally a hundred plus movies under his belt – not to mention his famous role as Superman – he was so conscientious about his work, even reciting his lines quietly to himself before the camera rolled. As Kat enters one scene, she takes off her coat and grabs a sweatshirt, one of Heather’s. She didn’t get her arms into the right holes, but she never missed a beat with her lines. They were all having so much fun. It was a joy to watch. I was surprised to learn that “Megan’s Christmas Miracle” was Kat’s first film. She is an event planner and destination wedding specialist from Pittsburgh. Not new to acting, she has done some stage productions. She is also a former NFL cheerleader. It was during the mid-90s when she danced on the sidelines for the St. Louis Rams – during the Kurt Warner, Jerome Bettis era. She had also been featured in the scenes filmed at the dance studio. Throughout the day, she said she learned so much about film production. She said she was humbled, honored, grateful - and ecstatic - to be part of one of JC Films’ projects. “It’s so refreshing to work with a group of people who truly support and encourage each other,” she said. “It’s been quite some time since I’ve been in the acting world and the cast and crew reminded me that my favorite part about it all is the feeling of ‘friendship and family.’” She thanks Jason, Dean and everyone involved for giving her one of the most cherished memories of her life. And that is just the kind of sweet spirit that was in the air that day. The film is about a Christmas miracle and I can’t wait to see it all unfold. I also think the fact that it was filmed at Heather’s studio and home was spirit-led too. 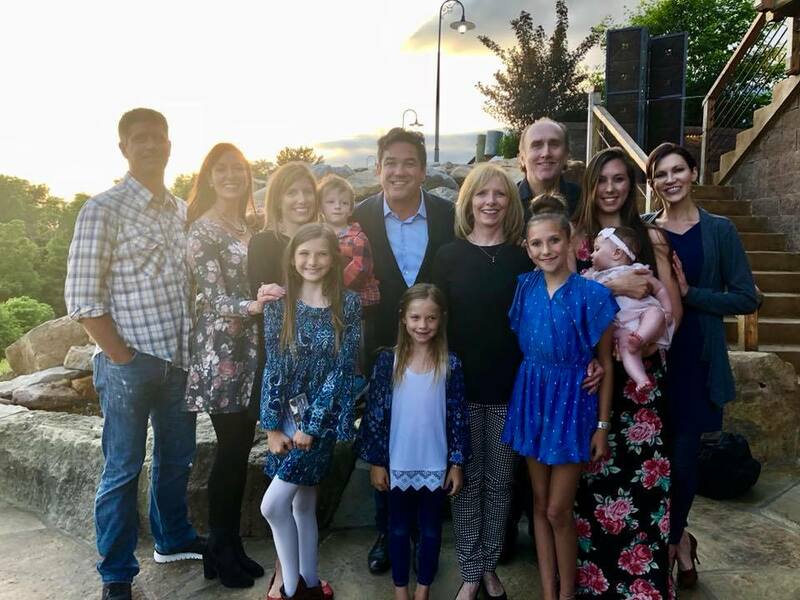 A family had been devastated by the death of the head of its household and here comes this Christ-centered company, stretching out arms to her as she did to all of them. 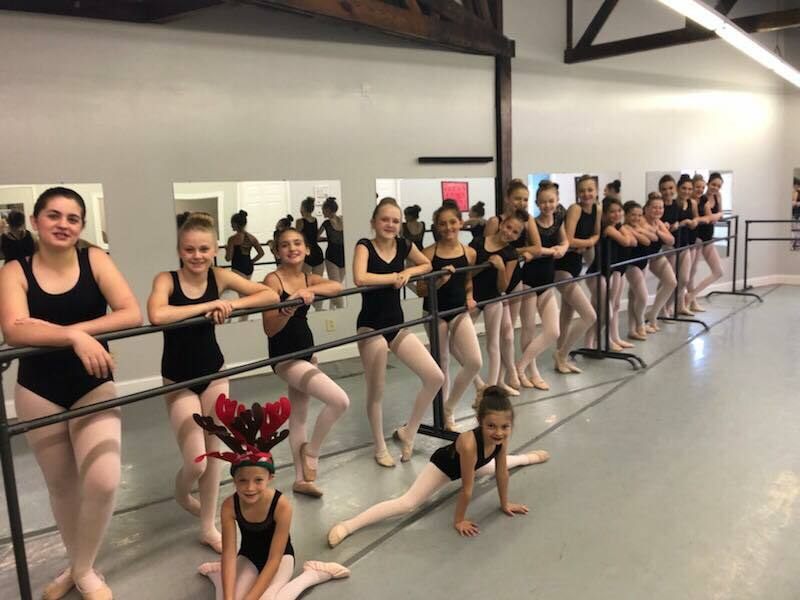 “All day long I kept thinking how excited Mark would be – blessed to open our home and dance studio for a truly amazing experience! ‘Megan’s Christmas Miracle’ is going to be absolutely amazing and I hope that everyone will be able to check out this film as well as so many other wonderful films by Jason Campbell of JC Films,” she said. Learn more about JC Films HERE. Read more about the film and the shoot that took place in Bridgeport in an earler Connect-Bridgeport article HERE.